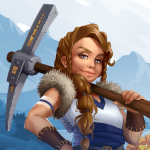 Spinit Casino has added another game provider to its huge portfolio of games with Yggdrasil Gaming. It is the most innovative Swedish game developer for online casinos and on the casino market since 2013. The new added selection of slots in Spinit Casino includes all 41 published games titles. 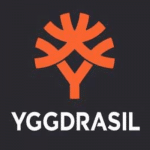 Now, Yggdrasil Gaming belongs to an exclusive and high-quality selection from manufacturers such as Microgaming, Netent, Playn’Go, NextGen, Quickspin and NYX Interactive. From now on you can play top games like Doubles, Reef Run, Seasons or Orient Express at Spinit Casino. Of course, you can also play the online slots on smart phones and tablets. You only need to open them in the browser of your device and you can spin the reels. If you want to test the new range of games, we can offer you a nice bonus and free spins. The Spinit Casino welcomes you with £1.000 bonus and no less than 200 free spins. You play the free spins on the famous Netent slot starburst. You will receive your first 20 free spins directly after the deposit and then 20 free spins each for the next 9 days. Use this nice advantage for extra profits! You only need to deposit £10 to activate the free spins. But do not forget, Spinit Casino doubles your first deposit up to £200! And, there are more regular offers. For example, you can redeem a 50% bonus and 20 free spins every Friday. The Pelaa Casino is an online casino which offers to play without registration. This way of playing is a huge success and now you can also use this fantastic service in Sweden, Finland and Germany. Possible is the registration-free visit of the casino through the means of payment Trustly. At the same time you are fully verified with the deposit, and you can also withdraw immediately. 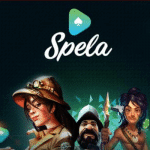 It has already proven itself in the Spela Casino and now there is another provider with the Pelaa Casino. But there is a small difference that may interest you: The bonus! Play in the Pelaa without registration 150 free spins on Gonzo’s Quest slot! About Trustly: If the payment provider does not tell you, we have some info here. Trustly is one of the Instant Banking providers and allows transfers from your Giro account within seconds. You log in to your bank and initiate the transfer. The biggest advantage is the return transfer of your profits. Again, this will only take a few minutes and profits will return to your account. All banks support Trustly and examples from Germany are Comdirect Bank, Commerzbank, Deutsche Kreditbank, HypoVereinsbank, ING-DiBa, Sparda Bank, Sparkasse, Noris Bank, Postbank, Deutsche Bank, Targobank and Volksbank / Raiffeisen. Pelaa Casino is one of the very few providers where you can pay within minutes. If you are used to making payments with Neteller, Skrill or EcoPayz, Trustly is another very good alternative. We can only recommend that you try it once, because these simple and fast methods of deposit and withdrawal speak for themselves. In addition, the Pelaa Casino also has a great offer of slot machines and also a live casino.